Hello! We are a Startup from beautiful Munich, Germany. We develop state-of-the-art digital solutions for healthcare and medical technology.  Our specialties are the digitization and gamification of medical processes. With years of experience and strong partners in the sectors medicine and technology, we want to bring healthcare to the 21st century! A kid playing the popular "Toby's Playground" on reFit Gamo in a clinic. The first digital therapy system for individual rehabilitation. 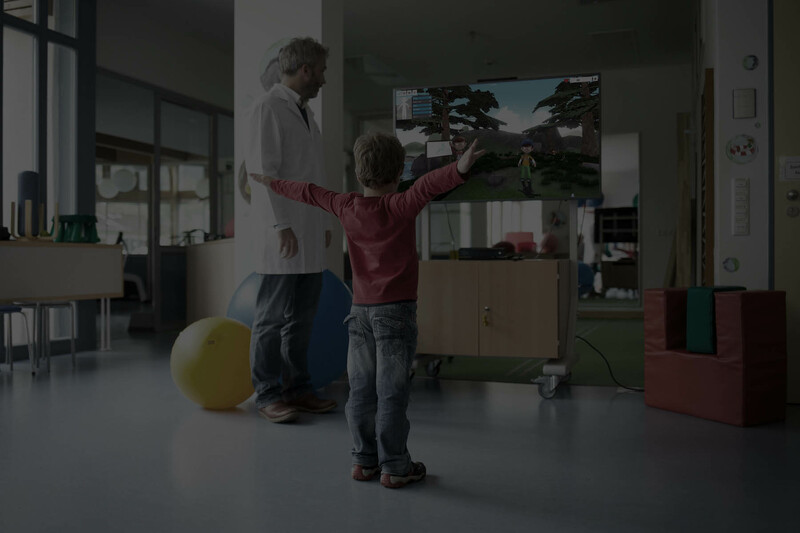 reFit Gamo is a video game platform for individualized therapy. For clinics, rehabilitation centres and doctors’ offices. We develop tailor-made software and digital solutions for the healthcare and medical technology sector. Gamification of healthcare, medicine or therapy processes. Bring your services to the 21st century! We model, develop and integrate individual software solutions in the b2b and healthcare area. reFit Systems will exhibit at the Nuremberg Startup Demo Night. On 8 March 2018 at the PARKS Nuremberg. Admission is open from 18.30 hrs, beginning 19.00 hrs. We are looking forward to many interesting startups and a few good games of MagiKart and co! More information on the web and Facebook. reFit Systems comes to Arab Health 2018 in Dubai! 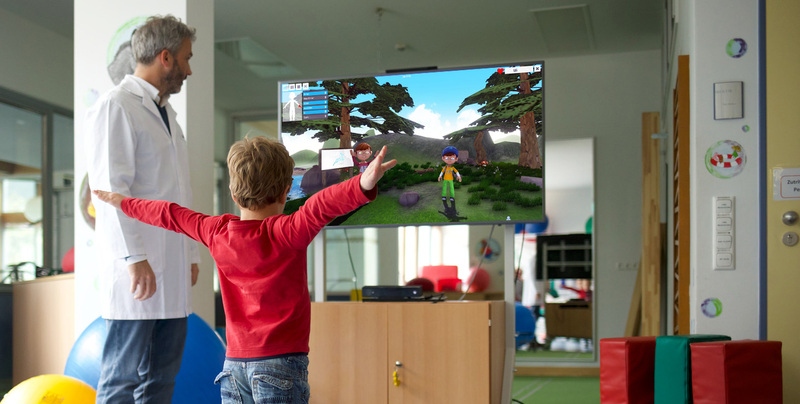 reFit System will present their current ‘reFit Gamo’ gaming platform at the TUM Open Day. If you want to test it, talk with our developers or just look how other people compete in a round of MagiKart, come by at the informatics department at October 21. See you there! reFit Systems will present the results of a study for balance parameters with the reFit Gamo System at Rehab Week in London (July 17-20). Like always, we’re looking forward to meet new, interesting people, participate in exiting seminars and have a look on the technology for the therapy of tomorrow. See you in London! reFit Systems will attend at the TUM Entrepreneurship Day 2017 on June, 30 2017. We’re looking forward to interesting conversations, exciting Talks and many people who want to try out our reFit Gamo System live. More information about the schedule can be found on the TUM Website. See you on Friday! Saturday, June 17 2017, the KisPi Kinderfest took place under perfect weather conditions. One of the attractions: reFit Systems! We had so much fun to try out our games with everyone! But as you know, an image says a thousand words, so check out the gallery. Better late than never – today we had our little inauguration party for the new office. Of course with lots of reFit Games and more! © Copyright 2016 - 2018 reFit Systems.